XOLO Launched a New Android Mobile Phone, XOLO Q1100.Powered by Qualcomm Snapdragon 400 Processor. Q1100 Comes With a large 5 inch HD IPS Display. It Uses The One Glass Solution (OGS) Display Technology. This Phone runs on Android Jelly Bean Operating System (V 4.3). Q1100 Heart Is a 1.4 GHz Quad Core Qualcomm Snapdragon 400 CPU along with 1 GB RAM. With its 8 GB internal memory and external memory that can be expanded up to 32 GB. Its Adreno 305 graphics engine with 450 MHz clock speed offers real life gaming experience with its high resolution texture and minute details. With its advanced gaming performance, XOLO Q1100 lets you experience and enjoy heavy HD games without any lag. XOLO Q1100 Is Come Out With Some Exclusive Snapdragon Apps. Audio+, Qualcomm Quick Charge and Battery Guru are Some Of Them. Snapdragon Audio+ offers high quality audio and a rich surround sound. Its Quick Charge feature charges a mobile up to 75% faster than the usual conventional technology. Qualcomm Snapdragon Battery Guru enables optimization of battery life without the need of disabling any functions. A 8 MP AF Rear Camera With BSI 2 Sensor is another Highlight Of This Device. The Secondary Camera Is 2 MP (front camera) with BSI sensor Provides high quality 3G video calling. The rear camera includes various features like scene detection & tuning, High Dynamic Range (HDR), Low Light enhancement, Face recognition etc. XOLO Q1100 is packed with Powerful 2000 mAh battery for longer duration of non-stop fun and uninterrupted gaming experience. The stand by time on 2G is upto 600 hours and upto 450 hours on 3G. The talk time is 24 hours on 2G and 12.5 hours on 3G. 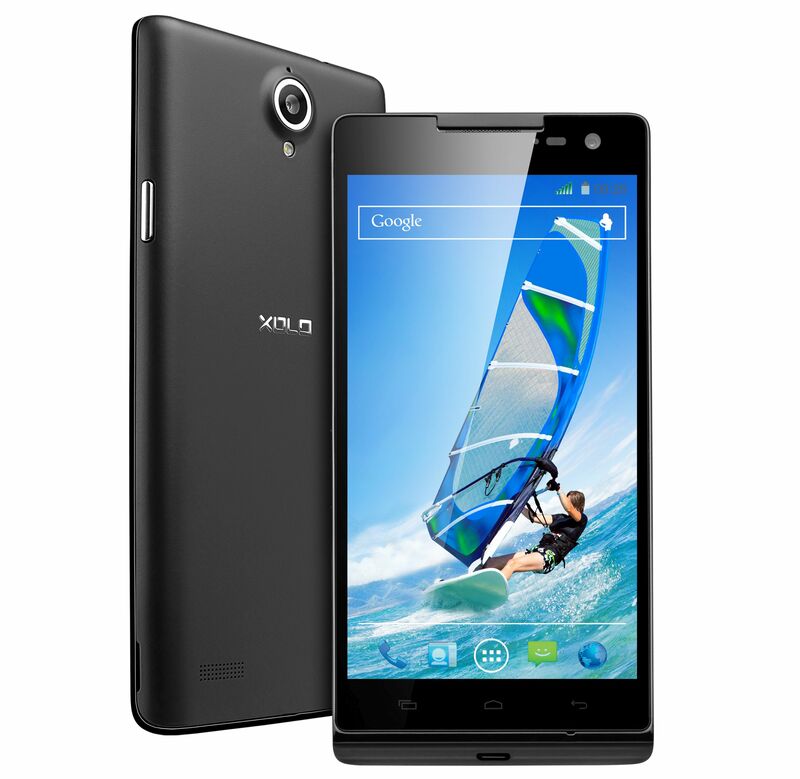 The XOLO Q1100 is priced at Rs. 14,999 and will be available in black color.